The Copystar CS 7002i series powers large volume users. Sharp black and white output combines with advanced finishing and speed. A document imaging portal that drives not only copy, print, and scan, it also simplifies your most frequent tasks such as knowledge sharing, archiving and more with the addition of powerful yet scalable KYOCERA Business Applications. 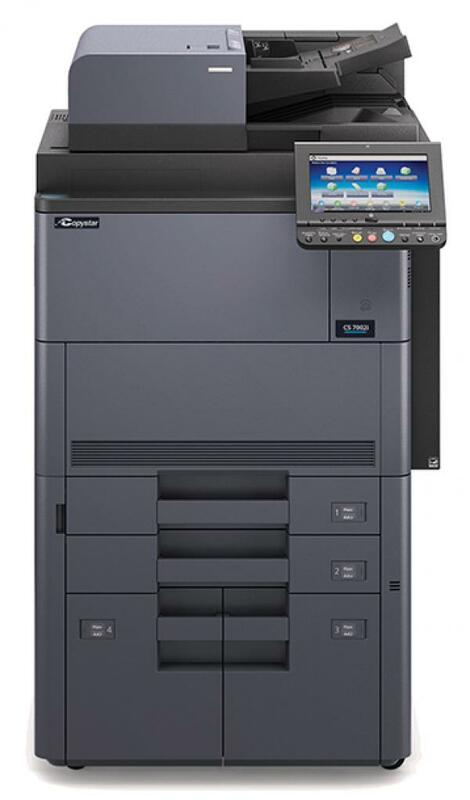 KYOCERA Document Solutions is a global leader in the digital imaging industry, with an award-winning line of document solutions that consistently set the standard for high quality, superior image quality, workflow-supportive applications, ease-of-use and durability. We get to the heart of your critical business challenges, with a personalized, single source approach that helps streamline your entire document workflow to reduce costs, increase workplace productivity and efficiency, and deliver exceptional results you can count on.